Abridged versions of India's two great epics presented in English verse. Like ancient Greece, India claims two great epics: the Ramayana, recounting the adventures of a banished prince who wanders for years in the wilderness of southern India, bears a resemblance to the Odyssey; the Mahabharata, based on the legends surrounding a war in which all the warlike races of Northern India took part, is the country's Iliad. 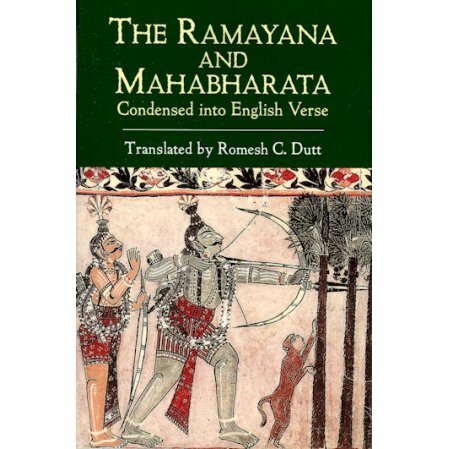 Together, the two represent the epic literature of the ancient Hindus, offering latter-day readers the most realistic image of the civilization and culture of India 3,000 years ago — its political and social life as well as its religion and philosophy. The Ramayana portrays domestic and religious life, with vignettes of tenderness, endurance, and devotion. The Mahabharata depicts the political climate of ancient India, with tales of valor and heroism, ambition, and chivalry. This condensed version of these extremely long tales features selection from cantos that convey the leading incidents of the epic, linking them with short notes. Readers seeking a practical knowledge of these magnificent works within a reasonable compass can do no better than this convenient and poetic translation.